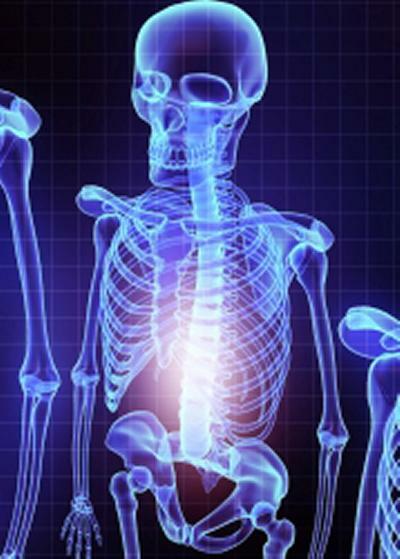 An international study of more than 60,000 women has drawn new light on the relationship between osteoporosis and fractures. Scientists call for more to be done to identify and treat patients at the highest risk of fractures. Osteoporosis is more common in women who have fractured bones when they were younger – and they experience a similar loss in health-related quality of life as those with arthritis, lung disease, diabetes and other chronic diseases. In an international study, led in the UK by scientists from the universities of Southampton and Cambridge, 60,000 women over the age of 55 were interviewed, 4079 of them British. The team found that 90 per cent of women with fractures suffered more mobility problems, pain, anxiety or depression. Approximately 40 per cent of women over 50 will suffer a fracture; the most common sites are the hip, spine and wrist. These fractures often carry with them chronic pain, loss of independence, and especially in the case of hip fracture, an increased risk of death. Because the likelihood of fractures increases substantially with older age, fracture numbers are projected to rise as the population ages. Using a standardized index measuring five dimensions of health (mobility, self-care, usual activities, pain or discomfort, and anxiety or depression), the study authors administered health surveys to compare the overall health status, physical function and vitality of participants and assess health-related quality of life. The study found that spine, hip and upper leg fractures resulted in the greatest decrease in quality of life. The study is from the Global Longitudinal Study of Osteoporosis in Women (GLOW), which is led by the University of Massachusetts Medical School. It was published online, 15 July 2010, in the Mayo Clinic Proceedings. The lead author of the paper is Jonathan D. Adachi, the Alliance for Better Bone Health Chair in Rheumatology at St. Joseph’s Healthcare and McMaster University in Ontario. GLOW is a prospective, international cohort study of women 55 years of age and older who visited their primary care physician during the 2 years prior to enrolment in the study. More than 60,000 women were recruited by more than 700 primary care physicians in 17 cities in 10 countries (Australia, Belgium, Canada, France, Germany, Italy, Netherlands, Spain, United Kingdom and United States). In GLOW, information is being gathered on fracture risk factors, treatments, life style characteristics, and fracture outcomes over a 5 year period. 25,300 European women are participating in GLOW. Professor Cyrus Cooper, professor of rheumatology, MRC Lifecourse Epidemiology Unit, based at Southampton General Hospital and Professor Juliet Compston, professor of bone medicine and honorary consultant physician at the University of Cambridge, School of Clinical Medicine, both co authors of this article, collaborated to enrol 4079 women from the Southampton area. Of these participants, 21 per cent had a previous fracture.